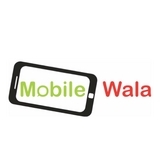 Mobilewala is a leading global smartphone brand Retail chain focusing on introducing products with professional-grade Gadgets, whether it is a Smart-Phone, Mobiles accessories,tablets, and many more, a one stop shop for all your needs. Mobile Wala was founded in 2000. The MW Retails Chain Located in Rajasthan various districts such as Jaipur, Dausa, Ajmer and other cities, entered the telecommunication and consumer electronics industry with all branded Smart Mobile Phones and Accessories including Mobile Phone Chargers, Batteries,Power Bank, Bluetooth, Headsets, PC Suits, Body Covers etc. MW deals in all major brands like – Samsung,Apple, Gionee, vivo, oppo, Htc, asus, Lenovo, Intex, Micromax, Motorola,Lava,karbonn, Google, Honour and More. Currently we are having 8 Live Experience Mobile Store, with a big number of Brand promoters. MW has built a complete and sustainable ecosystem. MW is one of the fastest growing companies in India. MW strives to become a World-Biggest Retail Chain, healthy, progressive and sustainable. All branded Smart Mobile Phones and Accessories including Mobile Phone Chargers, Batteries,Power Bank, Bluetooth, Headsets, PC Suits, Body Covers etc.